10. Alfred Corn and Mona Van Duyn. 14. A Time of Bees. This generous selection of Mona Van DuynвЂ™s distinguished, award-winning work spans four decades. 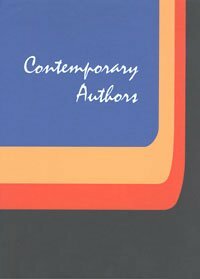 Beginning with her classic Valentines to the Wide World (1959), encompassing the intimate voice of Bedtime Stories (1972) and the moving Letters from a Father (1982), crowned by the life-spanning Firefall (1993), Selected Poems reacquaints us with a poet whose ear is keenly tuned to the music of nature and human conversation. 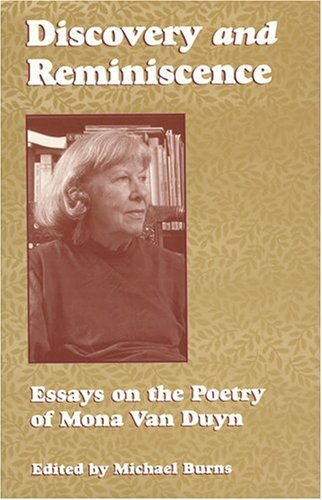 In lively and varied forms, from her minimalist sonnets to her magisterial longer pieces, Van Duyn captures a multiplicity of worlds within her world, in a tone inflected by both Midwestern pragmatism and a deep metaphysical intelligence. As she contemplates the act of reading in bed, a Rhenish sculpture in the Cloisters, or the loss of her mother, the poet goes beyond context to discover consciousness: an expression of the larger ideas and emotionsвЂ”finally, the artвЂ”in the smallest details of our lives. I picked this poetry collection to read for a class I am taking.At first I dreaded this because I dislike reading poetry, however I found myself hooked.It was very interesting to see how Mona's writing changed from her first collection in 1959 to the collection written in 1993.You can see the changes in society, from society's view of being very conservative to discussing the issues of abortion and homosexuality. I live in Missouri, so I found it easy to relate to her discription of the environment and of her garden. Mana Van Duyn's most recent collection is splendidly varied: witty, moving, sometimes astonishing. As Howard Nemerov said of her last book, "It is not only that the best of her poems teaches us so much about life, but that life, over a long time, teaches us the truth about these poems." From the brief poems she calls "minimalist sonnets" to the powerful long poems "Falls" and "Delivery," both recalling incidents from childhood and youth, the work in this extraordinary book is that of a poet reaching the depths and heights of her own talent. 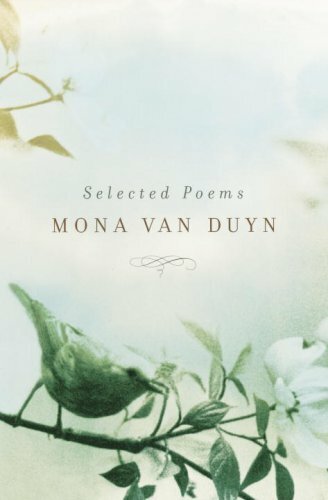 These two books, published simultaneously, contain all the poetry of Mona Van Duyn, except for her Pulitzer Prize-winning Near Changes, available as a separate volume. 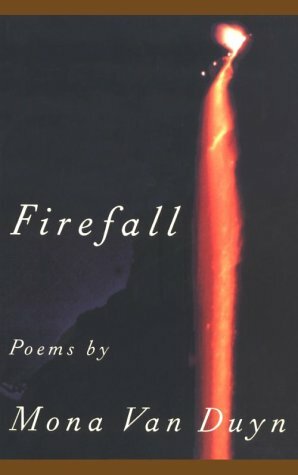 Firefall contains the most recent work of the 1992-3 Poet Laureate of the United States. 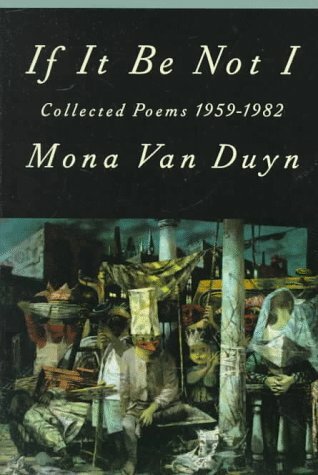 "Mona Van Duyn has displayed throughout her long career more than enough authority and range, originality and technical mastery to qualify as a major poet. Happily Firefall triumphantly maintains and extends the consistently high level of her work...It's hard to exaggerate the richness of these books." 7. Merciful Disguises; Published and Unpublished Poems.